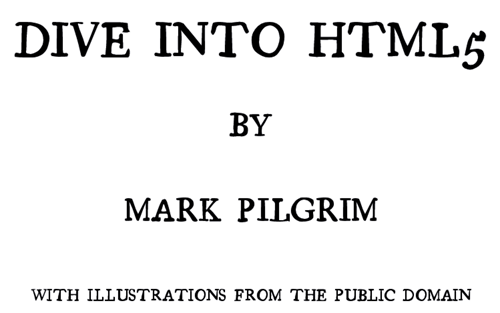 If you are interested in learning HTML5, there is an excellent online book from Mark Pilgrim. Dive into HTML5 is available online for you to read for free. However, you can also purchase the print edition of from O’Reilly. This is an interesting strategy for a book to be available for free online as well as for sale on print edition. 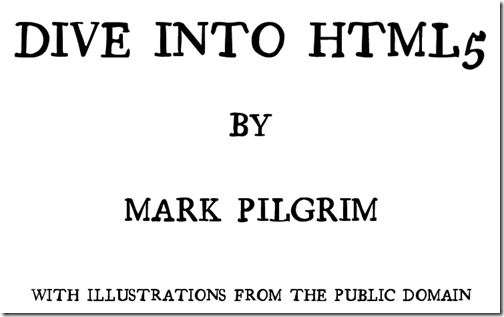 Mark Pilgrim has this HTML5 book for sale – HTML5: Up and Running . It’s definitely a good read.